January | 2013 | Could Joseph and Imhotep have been the same person? Imhotep’s Pharaoh (Netjerikhet) was not know as Djoser until many years after he died. The name ‘Djoser’ was not used during the third dynasty. This name was used in later dynasties to refer to Netjerikhet. The Famine Stele. (Inscription number 81). Carved on a high point on the Island of Sehel during the Ptolemaic period. It mentions Djoser, Imhotep and a seven year famine. It also makes reference to Djoser giving land to the priests of Khnum. (The priests of Isis also make the same claim elsewhere). The pharaohs used their Horus names. In this case, Netjerikhet was the Horus name for Imhotep’s Pharaoh. Netjerikhet is the name inscribed on all his monuments, including the inscriptions at the Step Pyramid at Saqqara. New Kingdom (18th dynasty) graffiti at the Step Pyramid complex at Saqqara indicates that Netjerikhet was also known as Djoser. 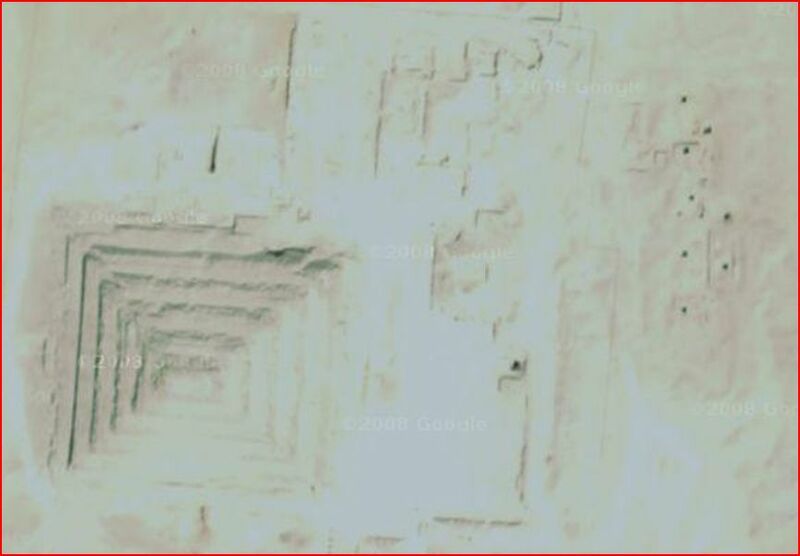 The first definite proof that Netjerikhet was Djoser comes from the famine stele found on the Island of Sehel. It mentions both names of the Pharaoh (Djoser and Netjerikhet) as well as Imhotep and a seven year famine. The inscription was written during the Ptolemaic dynasties and appears to be cut by priests of the god ‘Khnum’ of Elephantine and lays claim to some land south of Aswan known as ‘Dodekaschoinoi’ and claims that it had been granted to them by ‘Djoser’. Another group of priests of the goddess ‘Isis’ on the Isle of Philae also believed that Djoser had given the land to them. Both groups believed that Djoser’s promise had some lasting validity. Imhotep was Djoser’s vizier and the Famine Stele records that Djoser asks Imhotep to help save Egypt from a coming seven year famine. The priests of Isis and Khnum recognise Djoser as having the right to grant land. Land rights date back to Djoser because Djoser’s vizier acquired all the land of Egypt for Djoser. Djoser gave the priests an allowance of grain and so they did not have to sell their land to him. While the priests of Khnum and Isis may never have sold their land to Djoser, it was still a gift to them from Djoser as the priests of these Egyptian gods would have starved if Djoser had not given them grain. Everybody else had to buy grain from Djoser and when they had run out of money, they had to sell their land. Djoser made the priests exempt by giving them a grain allowance and so he enabled them to keep their land. Imhotep (Joseph) thus saved all of Egypt from starvation and empowered Pharaoh Djoser and indirectly, the priests of the Egyptian Gods. The priests would have been grateful and loyal to the Pharaoh. The common people could only have sold their land to the pharaoh once. The Bible records that when Joseph was the vizier, he helped to save Egypt from a seven year famine. Joseph was able to buy up all the land of Egypt (except that of the Priests). Joseph was therefore responsible for making the Pharaoh’s rich and this explains how the Pharaohs acquired the power and resources to build the Pyramids. Joseph married the daughter of the High Priest of On (capital of Heliopolos). He lived till the age of 110 years and would have served several Pharaohs. He was embalmed when her died. 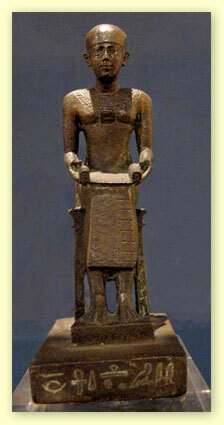 Because of the similarities between Joseph and Imhotep, it is likely that they were the same person. Netjerikhet would have been the Pharaoh of Joseph and more than likely, he became known as the ‘Pharaoh of Joseph’ by subsequent pharaohs (of the 18th dynasty). It is likely that the Name ‘Djoser’ means ‘the Pharaoh of Joseph’ as it was not ‘coined’ until well after Netjerikhet died and Joseph / Imhotep became quite a notable figure in his own right. Imhotep / Joseph was probably responsible for designing more than one pyramid, developing embalming techniques, building with columns, using the papyrus to write many literary works. He even performed many operations. Little wonder that the Greeks and the Egyptians subsequently tried to deify him. Netjerikhet became known as the ‘Pharaoh of Joseph’ and this was possibly abreviated as ‘Djoser’. In contrast, Moses, who lived in the 12th dynasty, also had a lasting influence on Egypt and several pharaohs of the 18th dynasty were named after Moses (eg Ahmoses and Thutmoses) even though they had nothing to do with him. The name Zoser is Greek for Djoser.